7 E. 47TH ST., 2ND FL. Diners used to eating their sushi in Japan, where the top restaurants often resemble cheap lunch counters, will feel right at home at this simple restaurant on the second floor of a small office building in Midtown East. Besides the décor, the other thing that Toshihiro Uezu's restaurant has in common with its Tokyo counterparts, is that many of the ingredients they both are serving were last seen swimming in the Sea of Japan before making their way to the restaurant courtesy of Tokyo's Tsukiji fish market. 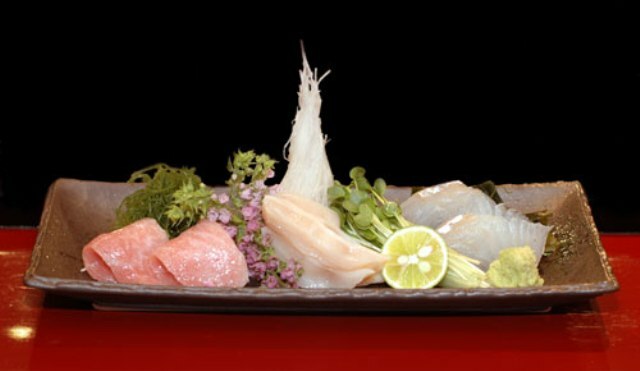 Better known for his man-sized cuts of sashimi than for his sushi, Uezu creates an array of flavors and textures so dazzling that reviewers typically claim; "you won't find a restaurant with better fish in the entire U.S."